I hear tales of a drunken skeleton waiting by that there old mill. 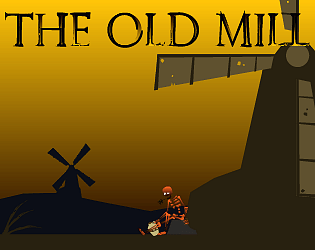 A game where you explore a windmill with an irresponsible skeleton. Over the summer I have been looking in to game jam. I always had trouble finishing game and since game jam has a deadline it would be the perfect way for me to finish a complete game. For the first two day a spend play around with ideas and builds in order to get the good idea that I can work the game around. The next three day was me building out the level. I send to friends to test it and then add the update the next day. I had to work non stop most of the time. It also got pretty scary when my computer was acted and I fear I would lose all my work. But in the end I pull it through. I am proud of what I made and I hope you all enjoy my game. Grain, or maybe a clover? Nicely done - I liked pretty much everything about this. Especially the mood and the puzzle design. What are the skeletons chewing on? Real nice atmosphere and visuals. Very nice game. I love how the character is animated. It looks very well finished for a game made on a short period of time. Very good level design as well !